Designer Atch Kosiyabong integrated crystal rods and sparkle fiber into an 8m drop chandelier with the illuminators situated at 2m from the fixture top. 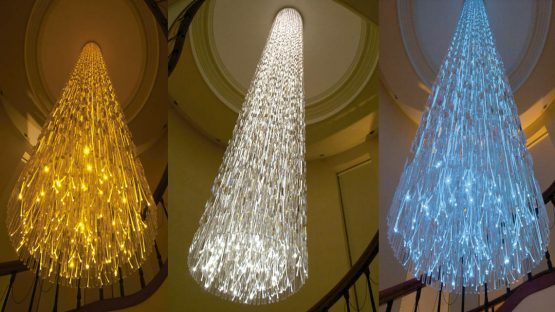 The chandelier changes color through a sequence of blue, yellow and white. MDI704, 150W metal halide illuminators with DMX512 color change control, powering sparkle fiber optics.